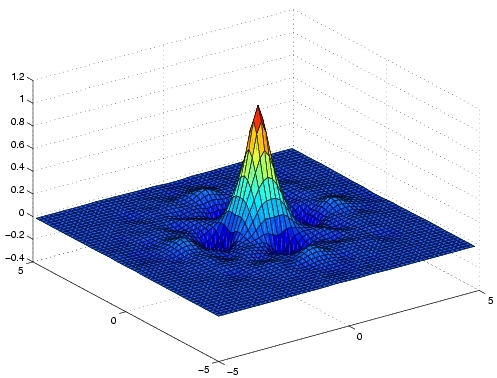 This Wavelet and Multiscale Library is a collection of basis-oriented algorithms that use ansatz systems with multiscale structure, like finite elements, wavelets, shearlets and other such dictionaries. Possible applications are in signal and image processing, numerical solution of differential and integral equations, as well as in associated inverse parameter identification problems. Characteristic features of multiscale systems include locality and certai­n compression properties that allow for the efficient discretization of such mathematical models. On this website, you can find tutorials and demos on multiscale algorithms, their documentation, links to the required software, as well as references to mathematical background information. This page is designed for the student and the scholar. Here, you get first instructions on the mathematical background of related topics and applications. A list of research papers, well suited to start your studies, is provided for every topic. This page is designed for tutors and lecturers. Here, you find a broad selection of examples, demo programs, as well as illustrating images that can be shown readily in lectures or presentations. Download is a shortcut to the available software packages. Here, you get straight to the instructions on how to recieve, install and use the algorithms within the packages. The page for upcoming and present activities, as well as the history of this Wavelet and Multiscale Library. We invite all reserchers of this topic and beyond to participate within the Wavelet and Multiscale Library.